The head of the media sector in the Sudan National Congress party, Ibrahim al-Siddiq, commented on the positions of some allied countries like the United Arab Emirates and Saudi Arabia and covered their recent events in Sudan. "I do not think that the positions of some Arab channels reflect official positions: they could cross the interests of a group of Sudanese activists and dissident groups in some Arab countries like Syria and Egypt, and there is certainly a great confusion, "said Siddiq al-Khaleej Online. The Emirates Al-Youm newspaper (published by the official Dubai Media Foundation) hosted the editor-in-chief of the Sudanese opposition newspaper, Change, Rasha Awad, who said there were Turkish-Qatari attempts to support the Brotherhood in Khartoum. Awad said that the crisis in Sudan is "due to the grip on the country of political Islam for 30 years, a trend that lacks any vision of economic development, found only to allow the Muslim Brotherhood from the state joints", as you said. 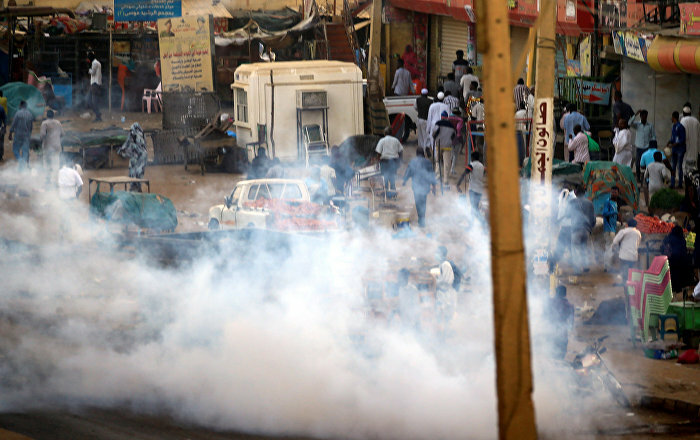 Sudan has seen bloody protests since December 19 following the government's decision to triple the price of bread. The protests, which quickly turned into protests against President Omar al-Bashir's three-year government, have killed 26 people so far, officials said. Amnesty International says more than 40 people have been killed. Among the dead were a doctor in the western suburb of Buri, about 150 Sudanese doctors met in front of a hospital in Khartoum on Monday, condemning his death, but Sudanese President Omar al-Bashir said he had been killed by a weapon not found in the army, the police and Sudan in full, demonstrators in the events serve foreign agendas. The head of Sudanese security and intelligence, Salah Abdullah Qosh, spoke about the protests and said that "there are abuses that may have occurred, and only in the early days, both in Atbara and Qadarif", according to Safwan Tarbun.